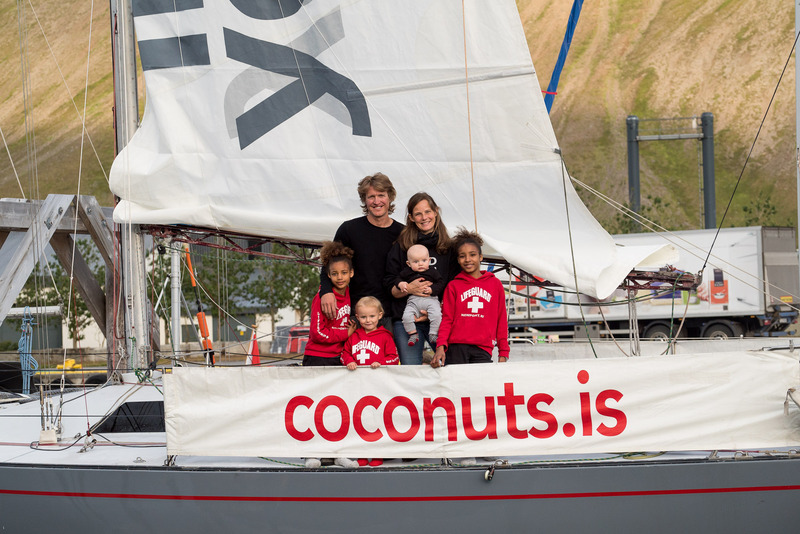 Read our latest travel and sailing blogger interview with Natasha from Coconuts.is! We’ve obviously got big love for sailing holidays. And we know you guys do, too. The fresh sea breeze, the sand in your toes… it’s a special kind of vacation. But we’re fascinated by the people who take this love and turn it into a full-time obsession. 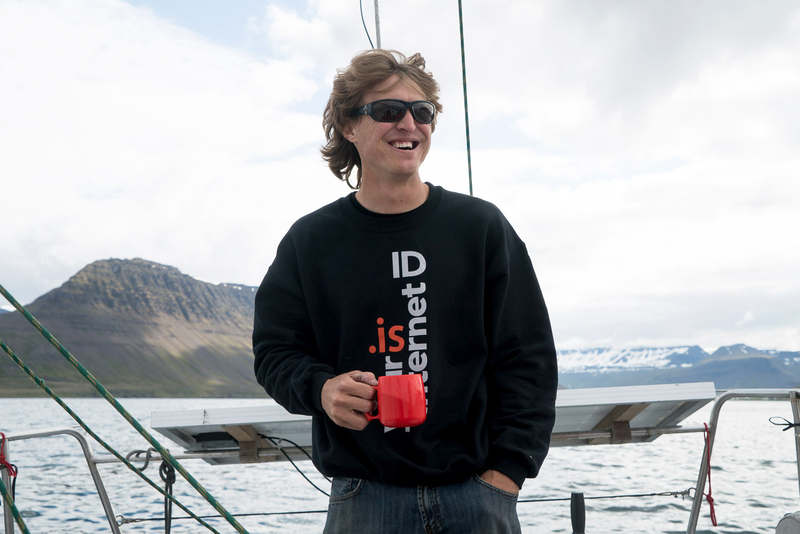 Life on a sailing boat is an crazy one, so we’re bringing you a series of interviews with our favourite sailing and travel bloggers to show you what it’s like. This month, we speak to Natasha from Coconut.is. 1. Hi Jay, Natasha, Sol, Luna, Caribe & Ártico. Where are you right now? We are in Brittany, France. 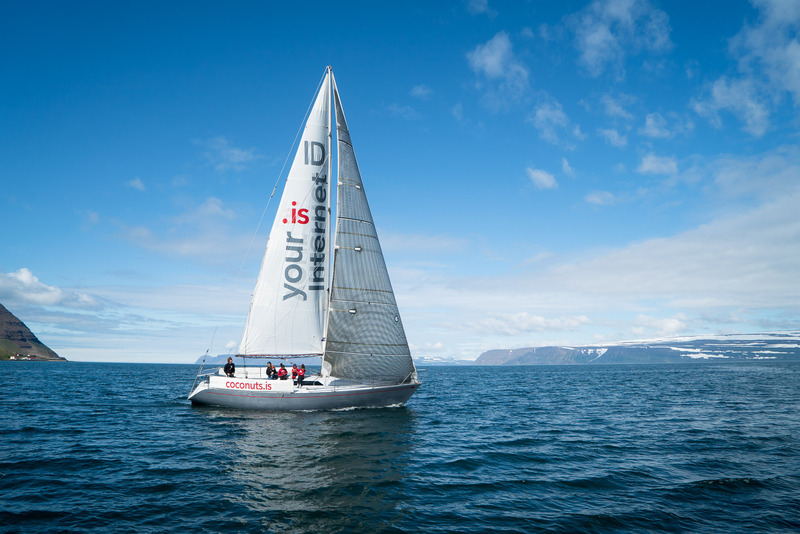 We started this year’s sailing season in July when we set sail from Iceland after spending last winter there to experience the birth of our son, which was in March. We left Iceland and sailed to the Faroe Islands, Norway, Germany, the Netherlands, Belgium and France. We plan to stop for this winter in south Brittany, France. 2. What sparked your passion for sailing, and what made you decide to adopt sailing as a lifestyle? Jay began sailing at a young age, in California. When most teenagers buy their first car, Jay bought sailboats. They were always fixer-uppers that he would sell in order to buy a bigger boat to fix-up, and so forth. Once he had a big enough boat to go off-shore on, he left San Francisco. This was 10 years ago now, when he sailed solo all the way down the Pacific coast of America to Costa Rica where we met. I (Natasha) am from Costa Rica and was living there with my two small daughters, Sol and Luna. The three of us became permanent stow-aways, and it’s been six years for us all together. Caribe and Ártico have been added along the way… Caribe was born onboard when we were in Le Marin, Martinique, and Ártico in Ísafjördur, Iceland. Jay is a true sailor; he just loves sailing, so it was natural for him to live on a boat and travel in this way to different countries. I always dreamed of sailing around the world one day, and was inspired by The Dove, which I read as a young teenager. My life took different turns, and when I found myself as a single parent I never thought that dream would take real form, but life has that way of surprising you. Now, here I am, living a nomadic life aboard a sailboat. 3. What kind of boat do you sail, and what’s been the biggest challenge with it? We have lived full time on Messenger, a 1982 German Frers design (custom built for racing in the IOR 1 ton class). We were in the Pacific of Costa Rica, with Jay’s previous boat, and the opportunity to upgrade came up, so we sold his boat and flew to Florida where we rescued Messenger, which had been left unattended on a mooring for five years. We lived in it as we fixed it up while being on the move… We didn’t set sail once everything was perfect (as most sane cruisers do), but we were eager to go to places, so we did. We left Florida after a quick haul-out and bottom paint, and went south through Central America, South America and the Caribbean, then up the Atlantic and past North America to Iceland (in about four years). When we began on Messenger, it was just four of us. Sol and Luna were small, but now we are six and everyone has gotten bigger, so we have naturally outgrown our boat; it’s time for another upgrade. 4. What was it like to leave life behind and embark on a mission to sail around the world? It was freeing to leave the complicated and routine “land life” behind and become nomadic. Living off-the-grid has given us complete freedom from the constrains of society. Basically, our money goes a long way. It has been easy to make money in a short amount of time, and this income will last a long time because our expenses are so minimal and basic. We have no home base, no jobs to go back to, no storage unit — everything we own we carry with us. We decided we wouldn’t have an engine or a refrigerator, because they are always breaking and are things that Jay couldn’t fix himself. Everything else on the boat Jay can fix, even sowing sails. We sail and row our dinghy and Jay has been sailing engineless for 10 years, which has made him an incredible sailor. 5. 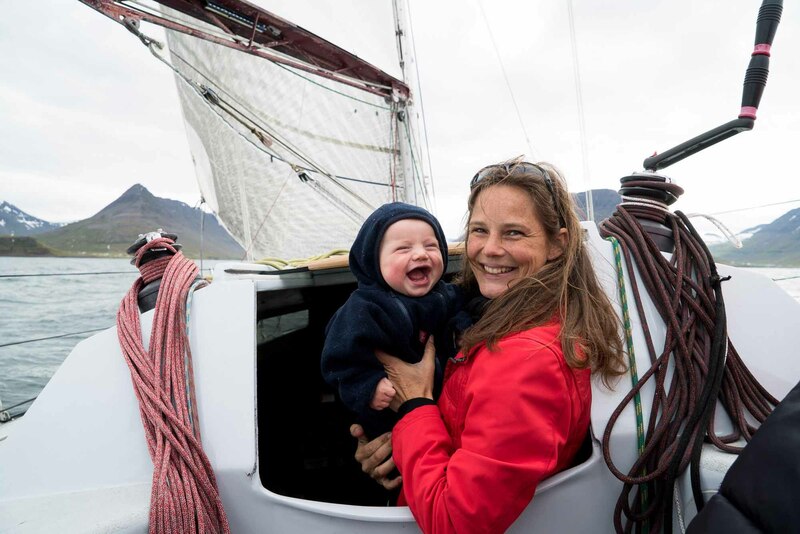 What is it like sailing full-time as a family? Do the kids enjoy it? The pros have outweighed the cons and this is why we have continued to do so throughout the years. The youngest two know nothing else; life at sea is the only experience they have had. The older two started when they where three and four years old. In the past six years, they have learned to become entrepreneurs, learned four languages and, most importantly, learned how to adapt. All four of the kids love sailing and moving around… more than we think they do. 6. What are the three things you love most about sailing? The freedom to go to places as a large family (of six). Economically, it makes it possible for us to travel to many places. While visiting places we are able to stay in the centre of the cities; since harbours are usually in the centre you can pretty much always walk everywhere. Traveling with your entire home, having the comfort of sleeping in your own bed (or bunk), coming back to your own home rather than a hotel room after a day of site seeing, and having your whole wardrobe at your disposal while traveling — such a perk. 7. Where are your three favourite sailing destinations and why? The Caribbean coast of Panamá (Bocas del Toro archipelago and San Blas islands). Because of the unique Indians that inhabit these islands and the many remote, beautiful islands that can be visited. The weather is perfect (no threat of hurricanes), sailing is pleasant, fishing and diving splendid. Iceland. Because of its unique landscape and remote location, it is the most spectacular and different place we have encountered. The people are incredibly warm and it is definitely not crowded (not many cruisers up there). Fishing will never be the same, sea life is abundant, lots of whale watching. Faroe Islands. Because of the landscape and the incredible hospitality of its people (similar to that of Iceland). There are many islands to visit and the culture is very interesting. 8. Would you advise people to try chartering yachts before purchasing their own? Yes, most people who don’t have much experience with sailing have a very romantic notion of what sailing is, but in actuality it is tough, hard work and it can be unpleasant at times. 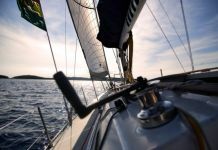 So yes, please get lots of experience and a taste of what a passage longer than five days is like, what it’s like to reset your anchor in a gail, or to go fetch a dinghy you forgot to tie well… those kinds of experiences are important before you commit to selling your house and buying a sailboat. 9. Do you have any crazy, memorable stories from your time on the sea? 10. What’s your favourite sailing/travel/inspirational quote? “If you don’t know how to tie a knot, tie a lot”. To see the other interviews in our travel blogger series, head here. To discover how you could be sailing the world like these guys, head to the home of sailing holidays and charter a yacht now! Know of any other awesome travel and sailing blogs? Let us know in the comments!